With just five days 'til the band drop their ninth studio album, we spill all the details which include everything from surprising guest vocalists to its sound. Following the release of a new track, Run, at the beginning of June, Foo Fighters began to announce the details of their ninth studio album. Titled Concrete And Gold, the album will be released on 15 September through Roswell/RCA Records and has been produced by Greg Kurstin, who has worked with Katy Perry, Foster The People, Adele, Beck and most recently Liam Gallagher. Speaking about the album title, Grohl told the BBC that the album involves themes of "hope and desperation". In a tweet, Dave Grohl said of the record: "Remember that ‘break’ we were taking? Well… we lied. We just spent the last six months secretly making a gigantic new Foo Fighters album… that will undoubtedly fry stereos from here to Fukuoka. Start saving your speaker money now. Sorry. It’s big. And that's not all....@caljamfest Oct.7th. See You there, it's gonna go off. If that isn't enough of a clue, the band have already been performing some of their new material live, giving us a pretty good idea of how the album will shape up. Dave Grohl has already teased a huge and unexpected female pop star is set to appear on the record, with everyone from Adele to Lady Gaga in the frame. Even more surprisingly, the Learn To Fly singer revealed that a member of 90s vocal harmony group, Boyz II Men features on the record. But don't let that fool you as it happens to be the "heaviest" song on the whole album. However, recently he confirmed that The Beatles legend Paul McCartney also makes a guest spot, playing drums on the record. That's a bit more like it. Keeping us on our toes, Grohl revealed none other than Justin Timberlake also asked to sing vocals on the record, telling Rolling Stone: "he nailed it". 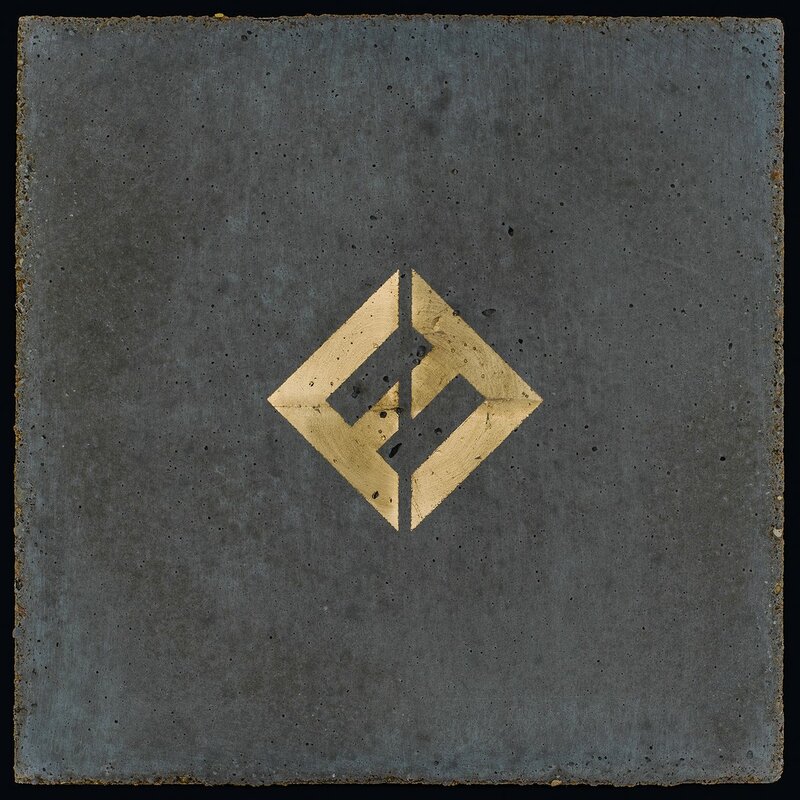 Concrete And Gold is available to pre-order via www.foofighters.com. To mark the release of the album album, Foo Fighters have announced a "backyard party for 50,000 people" in the form of new festival titled CAL JAM 17. It’s due to take place at at Glen Helen Regional Park in San Bernardino, California on 7 October 2017, and will feature some of the biggest stadium rockers in the form Queens of the Stone Age, Cage The Elephant, Liam Gallagher, The Kills, Royal Blood, Wolf Alice, Bob Mould, Circa Waves, and more. Get ticket info is at Caljamfest.com.